For 175 years, Judson College has stood like a beacon on a hilltop, burning brightly through the night. Judson remains affiliated with the Alabama Baptist Convention. Christ-centered, student-centered, and military and veteran-centered, Judson continues to fulfill her mission of helping young women develop their God-given abilities and talents, equipping them to make intelligent choices, and encouraging them to spend their lives serving God and improving society; all while they redeem their GI bill education benefits. 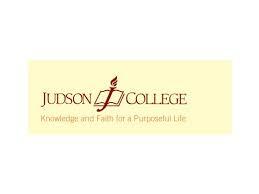 Judson College is a purposeful, caring community of students and employees who live, work, serve, and learn together, and who are united by faith in God and adherence to Christian traditions. Based upon the character and teaching of Christ, the Judson community commits itself to “Principles of Light and Truth” that frame our common concerns and core values. Acceptance of these values is a pledge to exercise them consistently in our treatment of others, and to expect to be treated in kind. Judson was named a 2017 Military Friendly School by G.I. Jobs Magazine and is a supporter of the Yellow Ribbon Program for veterans.